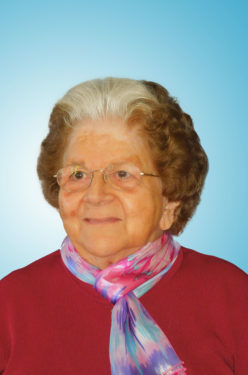 Sister Jeannette Tenaglia, C.S.J., a member of the Sisters of St. Joseph, Brentwood, for 68 years, died Nov. 22 while residing in Maria Regina Residence, Brentwood. She entered the congregation in 1950 from Our Lady of Mt. Carmel, Astoria. She earned a bachelor’s degree in business from St. John’s University, Jamaica, and certification in administration/ supervision from Fordham University. Formerly known as Sister Mary Giovanni, she taught at St. Michael, Flushing, 1952-55; St. Michael, Brooklyn, 1955-61; St. Teresa of Avila, Sterling Pl., Prospect Heights, 1961-65; and St. Martin of Tours, Bushwick, 1965-70. She served as principal of both St. Teresa of Avila, South Ozone Park, 1970-75, and St. Anthony of Padua, East Northport, L.I., 1975-87. She was the office manager of Fifth Avenue Chocolatier in Manhattan, 1987, and then retired to St. Joseph Convent, followed by Maria Regina Residence. A Mass of Christian Burial was celebrated in Maria Regina Residence Chapel, Nov. 29. Burial followed in Calvary Cemetery, Brentwood.